A lot of printing power is hidden under the modern housing of the new ECOSYS P2235dn device: a print speed of up to 35 pages per minute, standard duplex functionality for double-sided printing and a paper capacity of up to 850 sheets. 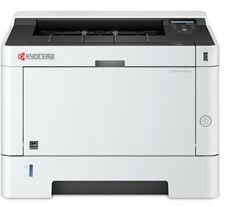 See the manufacturers web site Kyocera ECOSYS P2235dn for more information. Product code: A lot of printing power is hidden under the modern housing of the new ECOSYS P2235dn device: a print speed of up to 35 pages per minute, standard duplex functionality for double-sided printing and a paper capacity of up to 850 sheets.